An English Homestead: Herefordshire Seed Swap This Weekend!!! This weekend is the big seed swap in Hereford at the courtyard. This is a great event and even if you haven't got anything to swap we won't mind! 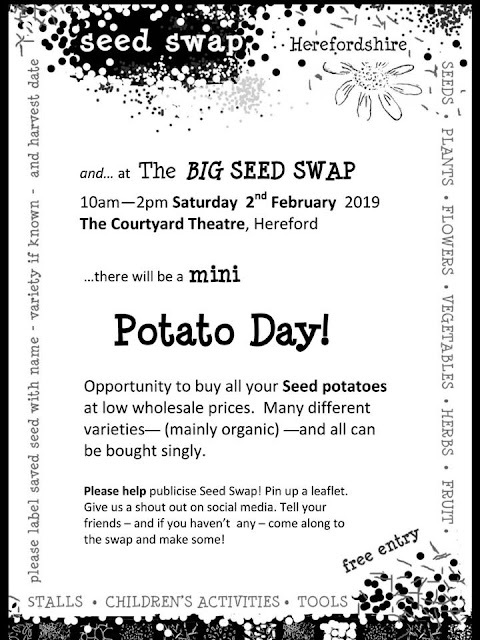 We ask for nothing in return but would love it if it encouraged anyone to save some seeds and bring them back for next year. I'm doing the talk this year (so a little nervious) but I'm looking forward to it and looking forward to meeting lots of like minded people. 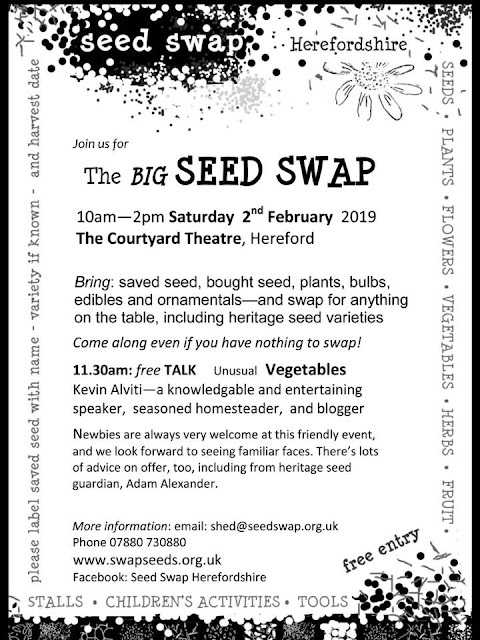 Make sure you come and say hello if you're about Hereford on Saturday. Be great to see you. I wish I lived in Herefordshire. Have a great weekend there. I hope I will. always a bit nervous doing a talk but hopefully it'll go well! Wish we lived closer. It seems like you just did this! Wow, time flies. The years just seem to tick by at the moment!